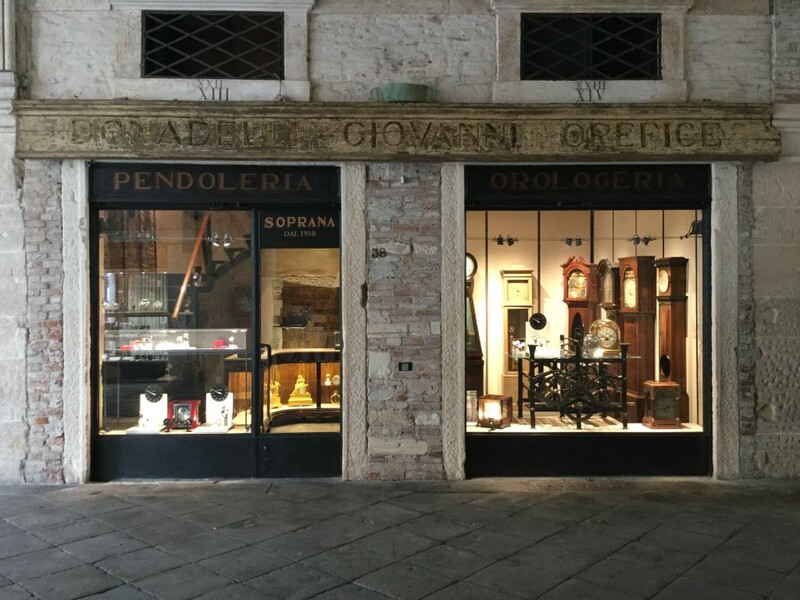 The Soprana Pendoleria Clocks Store was born in the early 90s by the passion for ancient clocks, by Adolfo and his son Stefano. The Clocks Store, located in the vaults of the basilica Palladiana has a certain appeal to the passerby, who sees the originality and history, thanks to the exhibition of interesting pieces as table clocks, column clocks and wall clocks. Soprana has always given a repair service and mechanical and aesthetic restoration for these clocks, thanks to the valuable work of our laboratory.